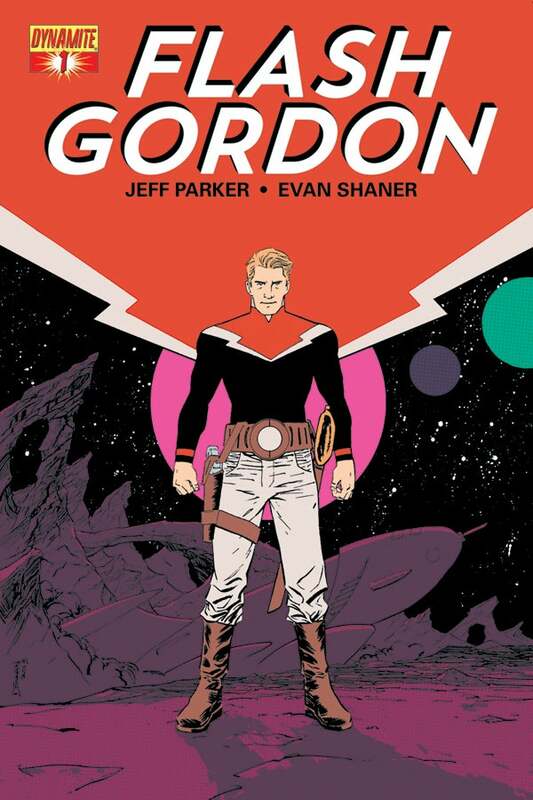 Dynamite Entertainment announced today that Flash Gordon will relaunch under Batman '66 writer Jeff Parker, artist Evan "Doc" Shaner and colorist Jordie Bellaire in April. 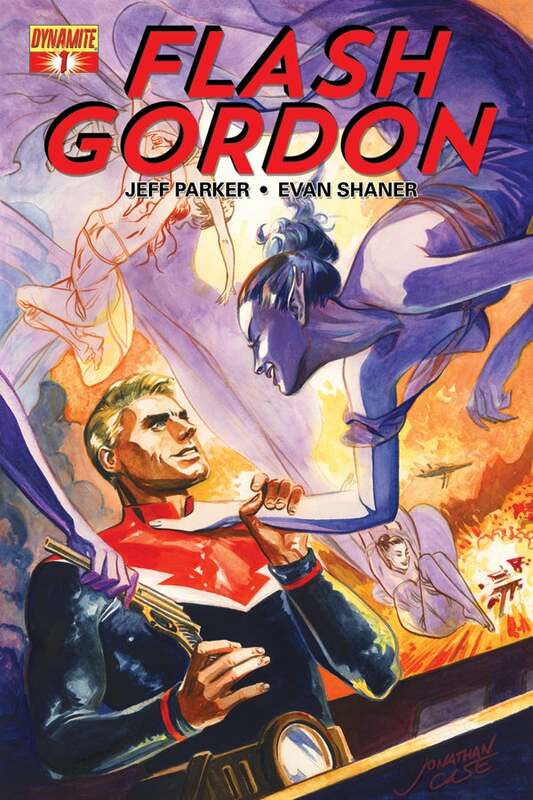 With the new, ongoing series, Flash Gordon marks the 80th anniversary of the fictional icon. The tale follows Parker's critically acclaimed Kings Watch miniseries, and features cast members Dale Arden, Dr. Hans Zarkov, and the infamous Ming the Merciless. 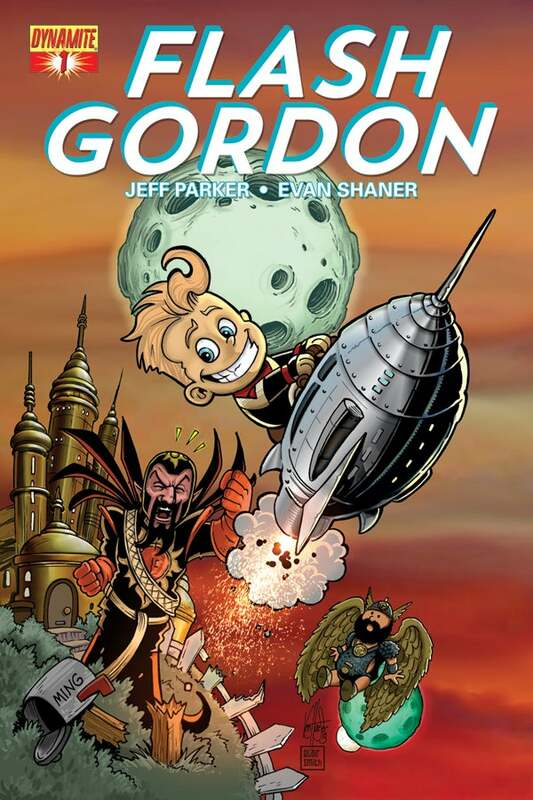 "Dynamite and editor Nate Cosby have put together the dream team for Flash Gordon, and I'm the lucky writer who gets to work with them," said Parker. "We're bringing Flash back for a new audience. It's over-the-planet high action and adventure where Flash's spirit and optimism are as powerful as anything the forces of Ming the Merciless can dish out. We also have some of my favorite artists contributing covers - make no mistake, this book is going to absolutely kill!" 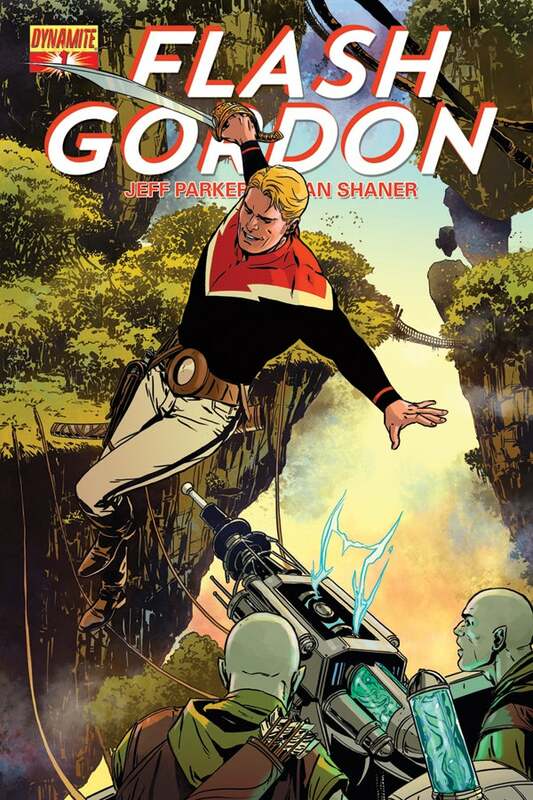 Flash Gordon #1 will feature a whole bunch of cover variants, from talents like Gabriel Hardman, Jonathan Case, Declan Shalvey and Marc Laming. 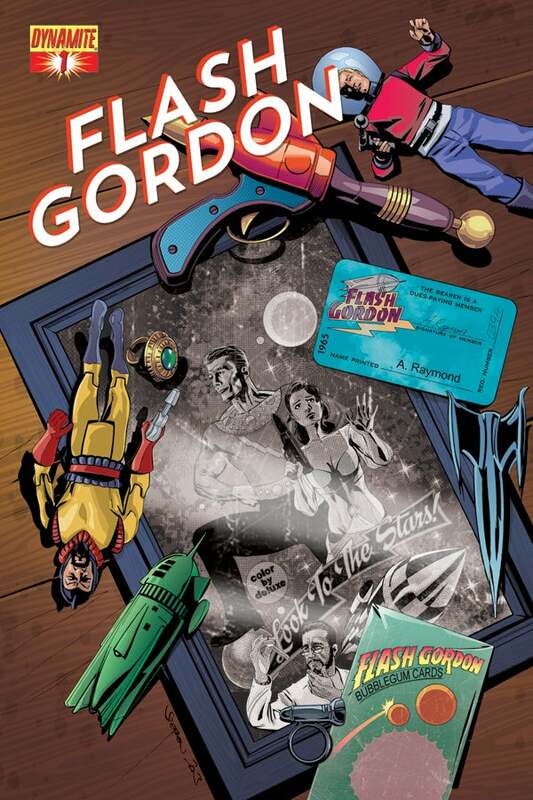 Stephen Mooney provides a special 80th Anniversary Cover, while Ken Haeser provides a Subscription-Only Variant Cover of "Li'l Flash." 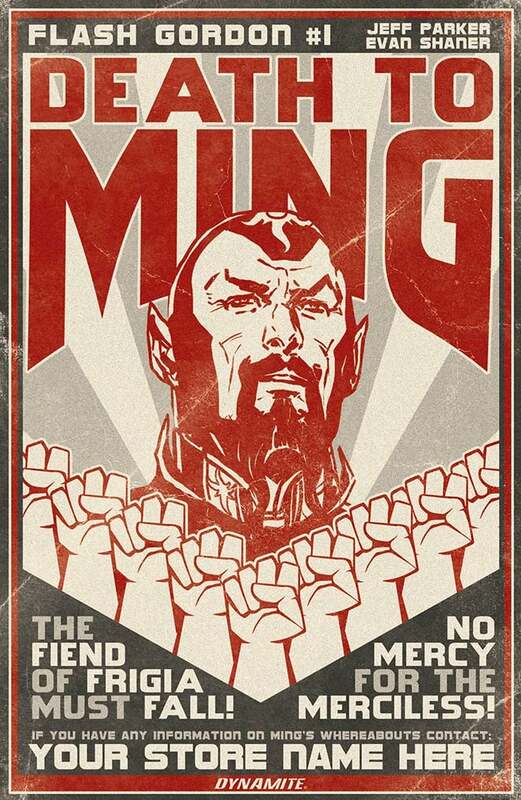 A Blank Authentix Cover will be created for the first issue, featuring blank white space on the cover perfect for convention artist commissions or the creative whims of the do-it-yourself fan, and retailers can customize their own unique "propaganda poster" cover featuring Ming. 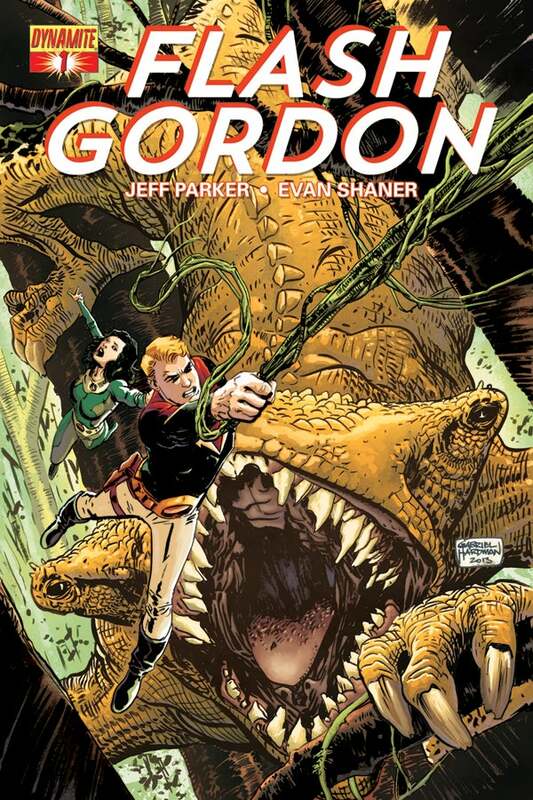 Dynamite is just the latest publisher to take on the Flash Gordon property; publishers as varied as Dell, Harvey, Gold Key, Charlton, Marvel and DC have all had their swing at the character over the years before Flash Gordon settled at Dynamite (at least for now) in 2011.